Have you finally found the perfect Maserati vehicle? The one that you’ve been dreaming about? If so, the only thing left to do is figure out your method of payment. Luckily, our auto financing experts at Maserati of Manhattan are here to support you every step of the way. Are you planning on buying a new or used Maserati in New York? We can help you secure a car loan. Or perhaps you’re aiming to get a Maserati lease in New York? We can help with that, too. We are committed to being your one-stop resource for all your automotive needs and that dedication doesn’t stop just because you found what you were looking for. 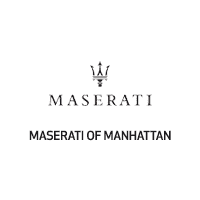 At Maserati of Manhattan, we will work with you on an individual basis to help you center on a payment method that works for you. Our auto financing experts will walk you through various options to see which one suits your needs. Our team has years of experience with finding the right financing solutions for our customers. We have an excellent rapport with local banks and we will work tirelessly to help you get approved. From a Maserati lease or car loan in New York, we know how to get the job done. Ready to start? There are a few ways to begin. You may find it easiest to use our free financing application form. Take your time filling it out at a time and in a place that is convenient for you. Of course, you’re always welcome to give us a call at (212) 549-2331 or stop by and see us in person at our new and used Maserati dealership in Manhattan, NY if you have financing inquiries. We’ll be delighted to address any questions and walk you through the payment process.